Vasectomy reversals are performed every day. Men change their mind about their desire to have children for a variety of reasons. The good news is that vasectomy reversal can allow a man to produce adequate sperm to help fertilize an egg for pregnancy. The exact results depend on a variety of circumstances, including the health of the female, the age of both partners, and the quality of eggs produced by the female. 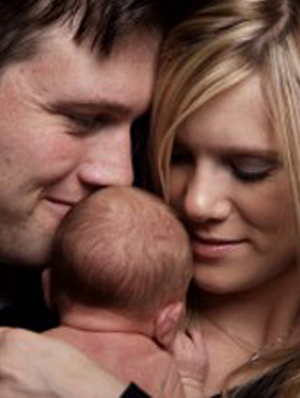 Every situation is different when it comes to the success of a vasectomy reversal. During the surgery itself, the surgeon will inspect to see if sperm are present. If they are – which in most cases they are since men are continuously producing them – then the reversal can be conducted. The ends of the vas deferens are rejoined and the vasectomy is reversed. Of course, since the man is not the only component of the equation when it comes to fertilizing an egg, other circumstances will need to be considered in order to determine if the vasectomy reversal was a success. A woman must be able to produce viable eggs that are able to be fertilized. If there is a difficulty with egg production, there are medications that can be used to assist. There is one issue that should be considered when thinking of having a vasectomy reversal and that is the presence of sperm antibodies. If these are present post reversal, even if the procedure is mechanically successful, they can interfere with the ability for a couple to conceive, as the sperm antibodies adhere to the sperm at various locations and can affect the sperm’s ability to move and/or fertilise the egg. Make sure you ask the surgeon who is going to perform the procedure to explain sperm antibodies and the effect that these may have on your chances of success. Another thing to keep in mind is that in Australia, there are no Medicare rebates associated with a vasectomy reversal procedure, which can mean that you can be out of pocket thousands of dollars. In the end, it’s best to look at all your options and make a decision from there. There are certain situations when the vasectomy reversal does not work, but every situation is different. Before the procedure is conducted, a full evaluation will be done in order to determine the likelihood of its success in order to help conception occur down the road. For more information on vasectomy reversal and your chances of conception, call our offices on the Sunshine Coast or Bundaberg at 1300 337 845 (1300 FERTILITY).